ASK THE EXPERTS: EMAIL YOUR QUESTION TO A PRO AND RECEIVE A REPLY WITHIN 1 BUSINESS DAY! Since you’re here on the Baseball Health Network website, it’s probably safe to say that you’re aware of who we are and what we do. We’d like to invite you to a free introduction to our Pitching Healthy Program on select dates (see below) in December. There’s an old adage in baseball – “You can’t make the club in the tub.” We couldn’t possibly agree more. Our Pitching Healthy Program is designed to keep you out of the trainer’s room and on the playing field. Over the past few years, we have seen a major increase in arm injuries, so much so it’s been labeled an epidemic! Players as young as 9 are sustaining growth plate injuries. High school age kids (14-19) are at the highest risk for Tommy John surgery. Not all injuries are serious but they can cause a player pain and affect his ability to practice and play games. The more serious injuries are ending too many players’ seasons and sometimes even their careers. The Pitching Healthy Program was created to combat this epidemic. 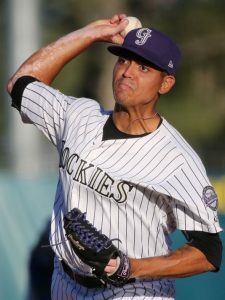 Colorado Rockies pitcher Justin Valdespina (pictured) is a recent product of the Pitching Healthy Program. The Baseball Health Network, in conjunction with Professional Baseball Instruction would like to invite ALL pitchers for a FREE workout with our Pitching Healthy Program run by BHN founder Steve Hayward and former New York Mets strength & conditioning coach Keith Cedro. How to evaluate your arm on a daily basis and how to best treat it. Here’s an example of one of our arm care exercise routines. The Pitching Healthy Program is a combination of mental and physical training to help the player grow as an athlete, improve their on field performance, and stay healthy. We are developing confident, educated, successful pitchers! If you want to stay healthy and improve your performance, the Pitching Healthy Program will give you the blueprint on how to do it! We would like to invite you to a FREE workout to see firsthand just how valuable our program is to your success! There is limited space, so all players must sign up in advance! No walk-ins will be allowed. Workouts are limited to one session per player! 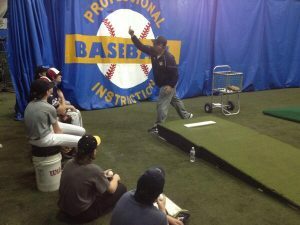 All sessions will be held at Professional Baseball Instruction’s indoor facility located inside NJ Sports House at 12 Wright Way in Oakland NJ. 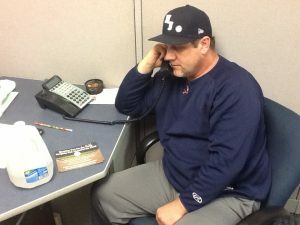 Baseball Health Network founder Steve Hayward will be a featured guest speaker at a live webinar on Wednesday July 12 presented by Columbia Sports Medicine. The Baseball Athlete: Myths & Truths that Every Physician, Athletic Trainer, Therapist, Strength and Pitching Coach Should Know in 2017 will be of interest to team physicians, certified athletic trainers, physical therapists and primary care sports medicine physicians. Participation in recreational and organized sports is on the rise. With that comes increased pressure to get athletes back to their sport as quickly and safely as possible. This webinar will highlight important topics in sports medicine that are experienced at the highest levels on a daily basis. The management of athletic injuries is under constant debate, often needing to decide between conservative and surgical intervention. Good judgment on the part of the sports provider is vital as management decisions are usually tailored to the individual athlete. Optimal management of these injuries is essential to an athlete’s career. Understanding the etiology, diagnosis, surgical, and non-surgical modalities are the key elements of a successful treatment plan. Labral & Rotator Cuff Tears: Why throwers have them and never need surgery? For information on Columbia Orthopedics, click here. For years now, I’ve been hearing coaches and parents telling their kids to throw over the top, get the arm up, elbow higher, and so on. The end result can be that a pitcher ends up being forced to throw from an unnatural arm slot. The common myth is that it’s safer to throw over the top. Check out these two videos that discuss finding one’s own natural arm slot. The first video, from the MLB Network, features San Diego Padres left-hander Clayton Richard talking with former Major League All-Star Harold Reynolds. Note how Richard points out the difference between coming over the top, and throwing from (for him) a more natural arm slot in which his hand is still able to get on top of the ball. This second video, with my Baseball Health Network partner Doug Cinnella, talks about the link between finding your natural arm slot and how it relates to throwing the fastball consistently for a strike. They’re not new – pitchers were using them in the mid-1970’s as part of their training routine – but weighted baseballs appear to be gaining some new proponents at the MLB level. The National Center For Biotechnology Information (NCBI) recently published an abstract by Dr. Glenn Fleisig of the American Sports Medicine Institute in Birmingham, AL (the research part of Dr. James Andrews’ world-famous practice) which examined the differences between weighted-ball exercises compared to the traditional 5 ounce baseball. In a recent post on MLB.com, Lindsay Berra explored how pitchers at the highest level are once again turning to weighted baseballs. Fleisig concluded that throwing slightly underweight and overweight baseballs is not only a reasonable exercise for baseball pitchers, but also that the variation from the normal routine of throwing a 5-ounce ball serves to increase awareness in the nerves and muscles and can make a pitcher more effective when he returns to the standard baseball. However, the use of weighted balls isn’t universal across Major League Baseball. The Phillies, Marlins, Royals and Pirates are among clubs that have been wary of using this method, with the fear that training with weighted balls — both underloaded and overloaded — creates too much stress on the elbow and can cause injury. Former professional pitcher Brent Pourciau has cautioned against the use of weighted balls as a means of gaining velocity. The Baseball Health Network offers these points of view on the subject. 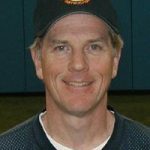 Baseball Health Network founder Steve Hayward – I don’t have a concrete stand on weighted baseballs. Years ago I worked with them for a few weeks, but I didn’t like the way my arm felt throwing them and never promoted them. Over the years I’ve realized that weighted balls can have a place in a player’s training at some level. But they are certainly not for all players, only the players that have the ability to throw a regulation baseball with efficient throwing/pitching mechanics. I believe, as with any training routine, that some players will see positive results while others may see adverse reactions. My theory is if a player does something that makes his arm feel good and velocity increases, who am I to tell him not to do it? My own guideline with pitchers is to caution them to be careful when doing any type of weight training regimen. 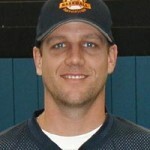 Former MLB pitcher and current Texas Rangers/Fox Sports 1 baseball analyst C.J. 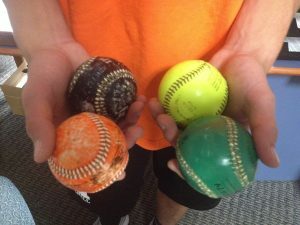 Nitkowski – I am in favor of using weighted baseballs as a compliment to any arm strength program. I used them in college in the early 90’s during a period in my life when I saw my greatest gains in velocity. Long toss, strength training and nutrition all played a role. There is no one single factor that will get you the velocity gains you seek. Weighted baseballs can also be used to teach proper arm path, even in young throwers (without actually throwing the weighted baseball). Like with any training there is a risk of injury and not all players will get the same results. If you’re considering weighted baseball as part of your training make sure you read up on them, do your research and get with a professional teacher who can guide you. 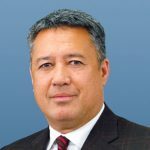 Former MLB pitcher and current New York Mets/TBS/MLB Network analyst Ron Darling – (from MLB Tonight 3/15/17) I remember when I pitched for the Mets, and most of the Mets did not have any shoulder injuries because we had an old trainer, Tommy McKenna, who fought in the Korean conflict. When he came back (from Korea) he had this martial arts kind of thing with a weighted ball that we would imitate the alphabet in certain ways. No one ever had shoulder injuries because of using a weighted ball in such a way to build the back of the shoulder so it wouldn’t hurt your rotator cuff. David Cone, Dwight Gooden, Sid Fernandez, myself…all of those pitchers used it…none of them had shoulder issues. Baseball Health Network founder Steve Hayward brought the BHN story to a national audience with his January 4, 2017 appearance on “The Sports Doctor” Internet radio show hosted by Dr. Robert Weil. Steve and Dr. Weil talked about the history of the BHN, the epidemic of arm issues in baseball, especially at the youth level, the bad rap curve balls are getting, and how both parents and players need to be pro-active with regard to the physical health of athletes. Dr. Robert Weil, D.P.M. specializes in podiatric medicine, orthotics and sports medicine. 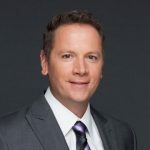 He’s written a column for the Naperville Sun and Aurora Beacon since 2007 as “The Sports Doctor,” providing sports medicine information to athletes, their families, coaches and all readers. 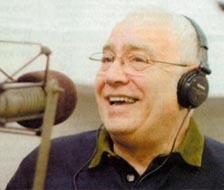 His weekly Internet radio show, “The Sports Doctor” is hosted on Healthy Life.net. He addresses current topics in medicine and sports, and often includes guest speakers who bring a wealth of knowledge from their various professional backgrounds.